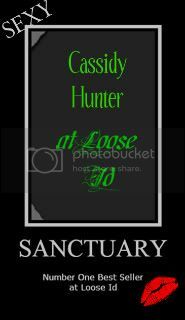 Cassidy Hunter: Asylum is NOR Top Pick! In this story, we continue on the quest of the wolf pack that Kimberlyn is a part of and she along with Logan, Andrew and Elijah must try to complete their pack by finding their fifth mate. When Kimberlyn returns home to her own house for a short time, she is immediately greeted by a scent that someone or something is in her basement. Trying to get a hold of Logan and the men to help her search her house, she stumbles upon Malik, a vampire. Her wolf pack arrives to aid her and when they all meet Malik they know that he’s bad news for them. There’s something not right about the entire situation and they have to get to the bottom of things before anyone loses their life. As the story unfolds, there seems to be an extremely strong attraction happening between Kimberlyn and Malik. But she knows that if he were to bite her, after three attacks she’d become his servant for the rest of her and Malik’s lives. 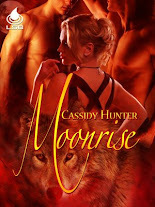 Even though she has been fighting her attraction and the deep down urge to be with him, he finally does bite her and from then on hell seems to break loose for the entire pack. The pack tries figuring out why Malik would even want to be associating with wolves and they know that he must have an ulterior motive in mind. When Malik brings Kali, a friend of his, into the sanctuary for healing the entire situation starts to make sense to them. Who does the wolf pack find out to be their missing fifth member? Why did Malik get involved with the pack to begin with? Can the wolves and vampires really cohabitate together? I found this book to be just as intriguing as the first book in the series, Sanctuary. Ms. Hunter has a very vivid imagination. She knows how to create characters that you fall in love with and she knows how to write a storyline that immediately pulls you in. It’s extremely hard not to develop feelings for her characters and you just can’t help but feel that they are real people you may encounter in your own life. I love the concept of the wolf pack being shifters and living like wolves, but having more humanistic qualities about them. When Ms. Hunter introduced us to Malik and his vampire world, I wasn’t quite certain how the storyline was going to turn out, but she didn’t disappoint me in the end. 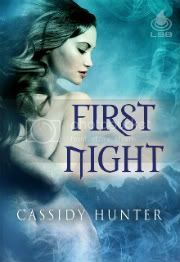 If you’re looking for a paranormal story that is uniquely different and very intriguing than you’ve found the perfect series to read!